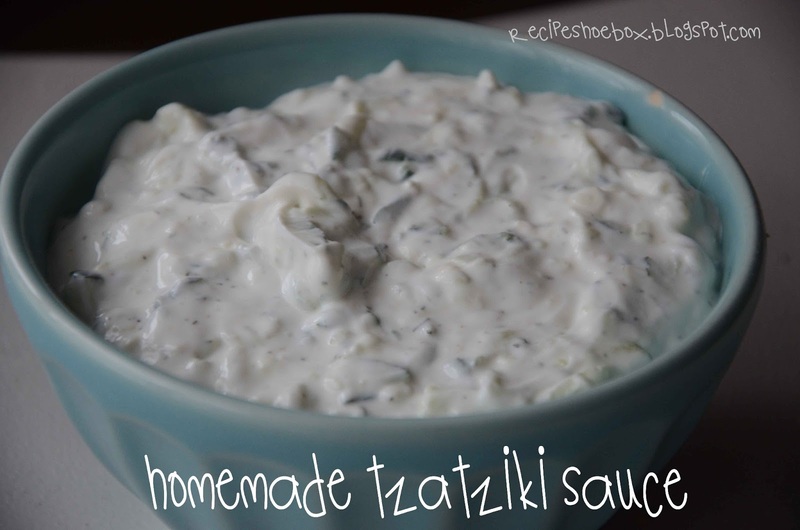 To go along with the Chicken Gyro recipe, this sauce is the perfect accompaniment to any Mediterranean food or as a dip for your veggies. I recommend using the small side of your grater for the cucumbers. Mix together the Greek yogurt, shredded cucumbers, garlic, vinegar and lemon juice. Salt and pepper to taste. It’s best to refrigerate for at least 30 minutes before serving, so flavors can blend.